We are facing the largest displacement crisis since the Second World War. Over 65 million people around the glove have had to flee their home. The global refugee crisis is a contentious political issue, and so often fears can be muddled with facts. Here at the forum, we believe everyone has the right and responsibility to stay informed. Below is some useful myth-busting information about the plight of asylum seekers. An asylum seeker is someone who has fled their home country because it has become too dangerous for them to live there anymore. Their own government cannot or will not protect them from danger. This circumstance usually arises through a crisis like war; natural disaster, famine, or religious persecution. What is the difference between an asylum seeker, a refugee and a refused asylum seeker? Asylum Seeker – A person who has left their country of origin and formally applied for asylum in another country but whose application has not yet been concluded. Refugee – in the UK, a person is officially a refugee when they have their claim for asylum accepted by the government. Refused Asylum Seeker – A person whose asylum application has been unsuccessful and who has no other claim for protection awaiting a decision. Some refused asylum seekers voluntarily return home, others are forcibly returned and for some it is not safe or practical for them to return until conditions in their country change. 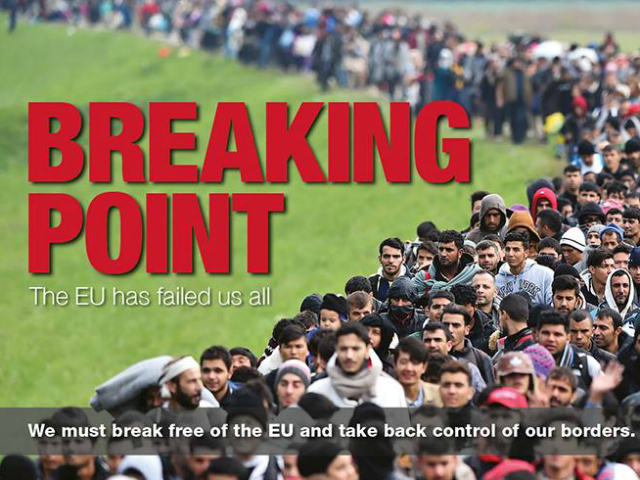 Is Britain really at ‘Breaking Point’? It often feels as if Britain has a disproportionate and overwhelming burden of asylum seekers arriving at our borders. Images such as the above are instrumental in contributing to a fear that we are being taken advantage of, or becoming overrun by refugees. In reality, it is poor countries, not rich, western countries, who take in the vast majority of the world’s refugees. The UN’s Refugee Agency estimates that nearly nine in ten of the world’s refugees are sheltered by developing countries. In the year to March 2018, over 1 million people sought safety in Europe. Yet Britain received just 26,547 asylum applications, including dependents – that’s a 8% decrease since the year before. In 2017, Italy received more than three times as many asylum applications as the UK. Germany received well over five times more applications than the UK. What about ‘bogus’ asylum seekers? A ‘bogus asylum seeker’ is generally assumed to travel to Europe with the intention of taking advantage of the UK benefits system, rather than a genuine fear for their safety back home. This concern relies on the Home Office’s presumption that if an asylum seeker lies about their circumstances, this means they do not need or deserve protection. Often, an asylum seeker is reluctant to tell the truth, as they are terrified their story will not be deemed serious enough, and they will be sent back home, to danger. Read more on this here. Secondly, the idea of ‘bogus asylum seekers’ relies on the idea that it is an easy alternative to economic migration. In fact, Britain offers no asylum visa. There are very few legal ways for refugees to safely escape their country and claim asylum. When war breaks out, countries like Britain often close down refugees’ legal escape routes. This lack of safe and legal routes for refugees to reach safety and claim asylum has deadly results. 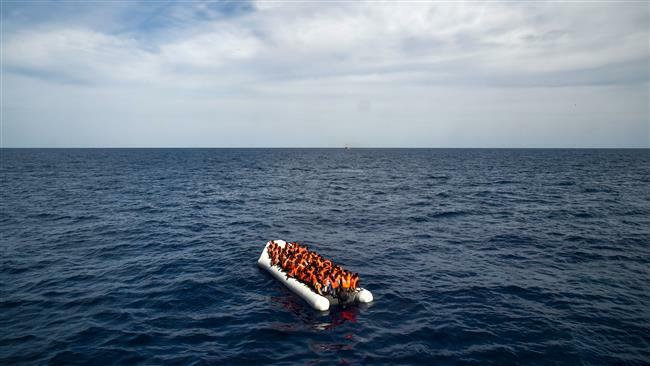 Already this year 646 men, women and children have lost their lives during their desperate attempt to cross the Mediterranean Sea. Every death was a tragedy. It is no coincidence that world events often correlate directly with asylum applications; last year people were most likely to seek refuge here from the Middle East, desperate to escape on-going conflict and the murderous advance of ISIS. The top 3 countries of origin of people applying for asylum in Britain in the twelve months to March 2018 were: Iran, Pakistan and Iraq. What happens when asylum seekers get to the UK? Once they have survived what is often an extremely long, dangerous and distressing journey to the UK, their worries are far from over. Until refugee status is granted, asylum seekers are not allowed to work to support themselves. They also have no say in where in the country they will be temporarily housed. They are given £37.75 a week from the government while they present their asylum claim to the Home Office to prove they are in legitimate danger if they return home. It is usually unclear how long an asylum seeker will have to wait to know their fate, often it takes years. Shockingly, at the end of March 2018 more than 9,824 asylum applications had been waiting for longer than six months for an initial decision on the case. That’s a 87% increase on March 2016. The total backlog in cases pending a decision totalled 22,100. Each one of these cases represents a person stuck living in limbo, anxiously awaiting news of their fate. The British asylum system is extremely tough. Just 32% of initial decisions made in the year to March 2018 have been grants of protection (asylum or humanitarian protection). What happens if their claim is rejected? If an asylum case is initially refused, it means the government’s support for that individual is stopped. This means they will usually become destitute and reliant on the charity of others to survive from day to day, often sleeping on the streets. Having an insecure address means that finding new evidence for a fresh asylum case is extremely difficult. If their case is rejected they are told to make their plans to return home. A refusal does not however necessarily means that it is safe for someone to return to their home country. They do however have the right to appeal their case by submitting fresh evidence. Over 25% of asylum refusals are overturned on appeal which shows that there are often errors made by the Home Office when they first review someone’s case.